I decided I'd better get working on some St. Patrick's Day cards to send to the family, since it's coming up so quickly! This was a quick and easy card to make. The green card base is 8 1/2" x 5 1/2", scored at 4 1/4". The kraft layer (from The Paper Company) is cut at 4" x 5 1/4", and the cream layer is 3 3/4" x 5". 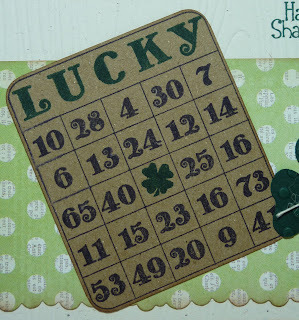 I added a scrap of polka dotted patterned paper that I edged with the ekSuccess Bumpy Roads Edger Punch. 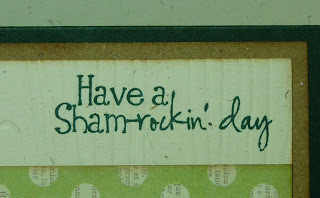 This adorable sentiment is from My Creative Time's I Believe in Leprechauns stamp set. After stamping it onto the cream layer, I decided it still looked a little plain, so I ran this layer through my Cuttlebug with the Papertrey Ink Woodgrain Impression Plate. It added just the right touch! My Bingo card was made with one of my all time favorite My Creative Time stamp sets: Anyday Bingo & Crossword. 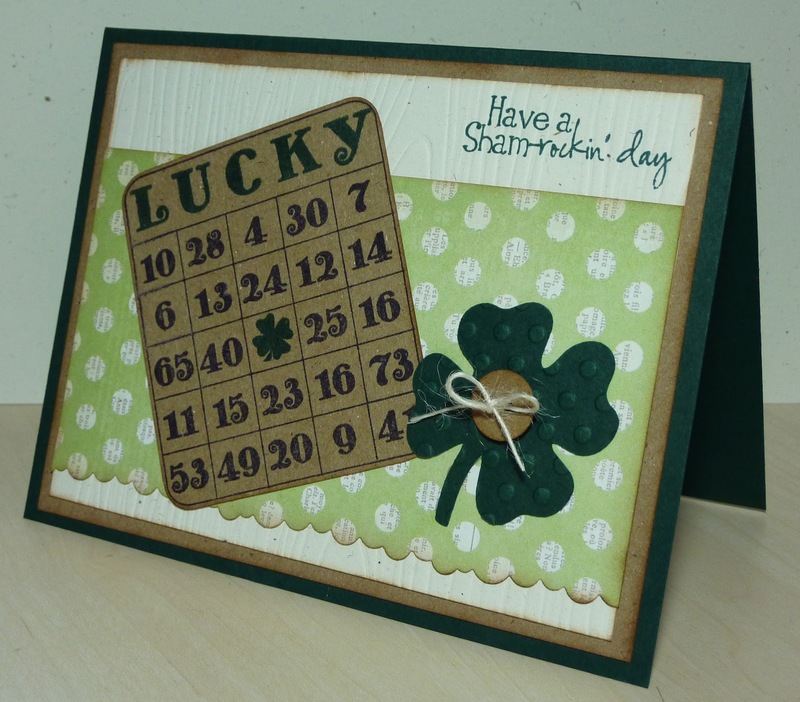 I just love how this stamp set has an entire alphabet and lots of little images, such as this shamrock, that let you customize your Bingo card for any occasion. I cut my shamrock from the Cricut Designer's Calendar cartridge at 1 3/4". To dress it up, I ran it through my Cuttlebug with the Polka Dots embossing folders. 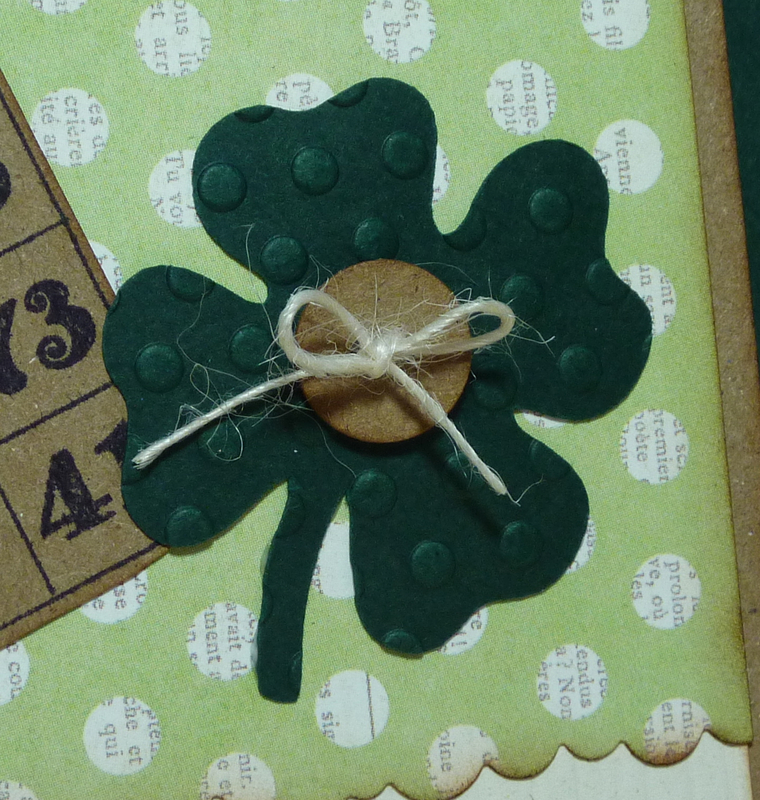 I also made a kraft button with the Papertrey Ink Buttoned Up #1 Die, and tied it with some twine. What a fun and unique card! Love the sentiments! Katie ~ what a CUTE card! I couldn't agree with you more on this stamp set! It is so fun to work with for any occasion! LOVE the background paper too! Yet another FABULOUS card! 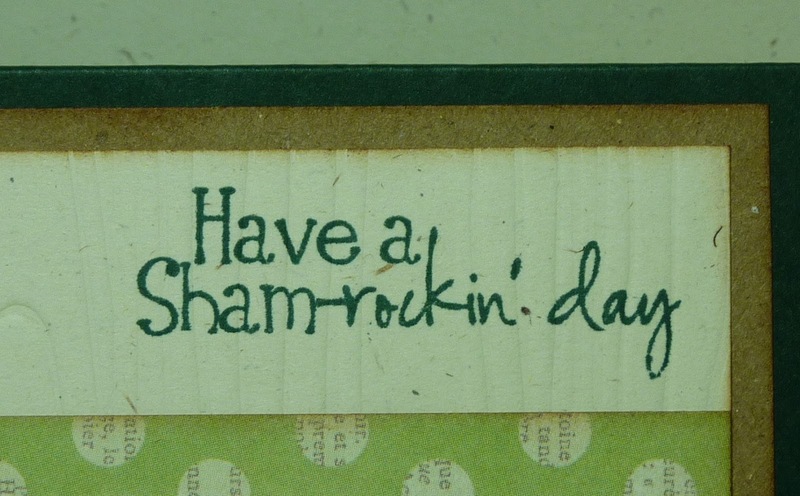 I had this same thought for a St. Paddy's day card, you beat me too it! lol Great minds must think alike! Fabulous job Katie! !